How do you add consumer legs to official sponsorship of an exclusive, couture event like Fashion Week? 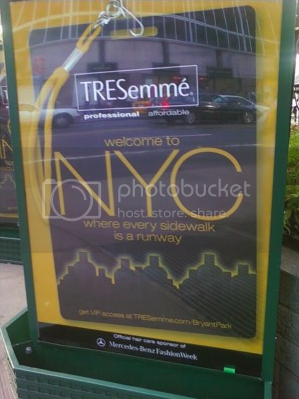 How about some clever messaging, CBS outdoor signage and a slick micro-site? 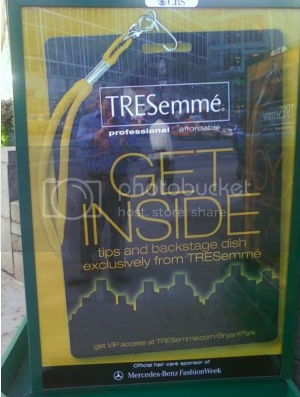 As the Official Hair Care Sponsor of Mercedes-Benz Fashion Week, TRESemmé's microsite takes fashion fans behind the scenes with Rachel Bilson revealing style secrets. 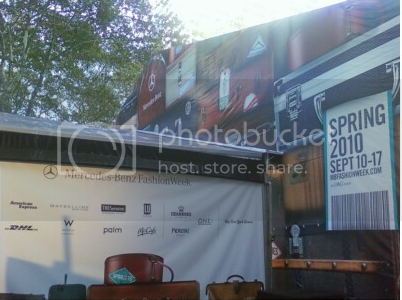 At the TRESemmé microsite, fashion fans can watch a daily recap from inside the tents, learn more about products and enter the Steal the Show Sweepstakes for a trip to win access to the 2010 M-B Fashion Week.